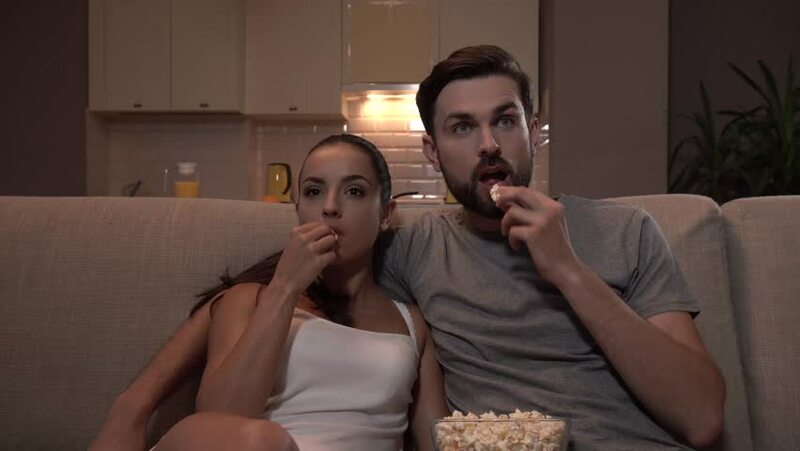 Couple sits together on sofa and watches TV. They take and eat popcorn from bowl. Guy points forward. Girl agree with him. She shakes with her hand. 4k00:15Young attractive Caucasian just married man and woman sitting in their bed late at night and playing on their smartphones while taping, then looking at each other.